You can almost taste spring in the air here in Philadelphia as the calendar has turned over to March. And as always, with the changing of the season comes the annual drinking fest known as the Erin Express. The event -- a St. Patrick's Day-themed bar crawl through the city -- splits Philly into two camps each year it rolls around: 1. Millennials/college students dressed in green and orange looking for an organized excuse to day drink and cause nonsense on what would otherwise be a peaceful Saturday afternoon 2. Residents expressing general disgust at such unashamed displays of public intoxication. 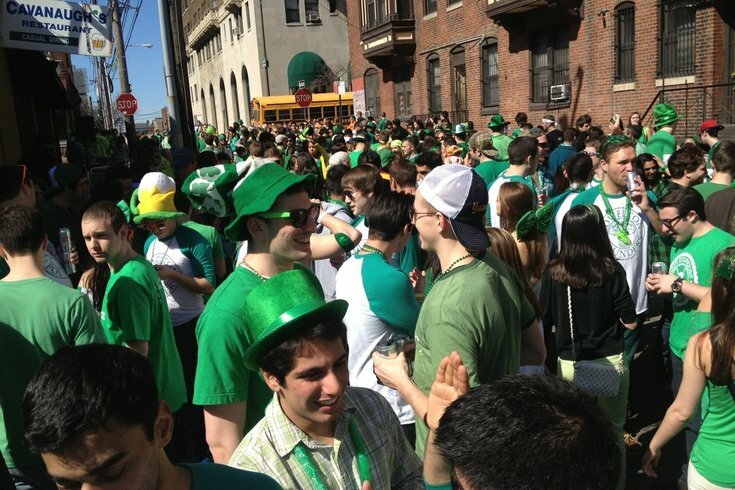 @tartinegramercy it's Erin Express day where the "Irish" puke all over the city & ruin everyone's life. I hate because I care. Hope you live to see tomorrow, #erinexpress attendees! Ahh yes. The worst time of the year. The Erin Express. If you go to Erin Express you're just automatically annoying.